I have a 40k team tournament coming up and my partner is Dark Eldar. We each have a 1000 points to build a single FOC list. I want to run Kan Wall, but I haven't had much luck with it in 6th. Thus, I am running an AV14 wall to rush forward. The above is a WIP of 2 of my wagons with my KFF Big Mek Cyclork conversion. I had more fun painting the yellow one since it comes out so much more grungy. Plus, I spray primed it yellow, so it was easy peasy lemon squeezy. 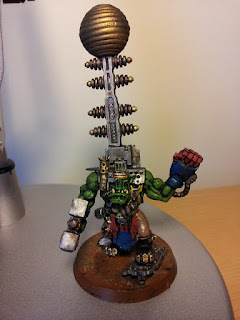 I have ten points floating, which could be used for 2 more big shootas on the wagons or Cybork (5++) for the Big Mek. I could drop the Boarding Plank and run 2x Big Shootas on all wagons, but they will most likely be screaming forward full speed, so will only be there for weapon destroyed results. 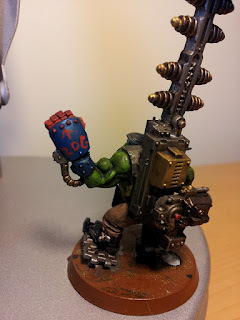 It kills me to not run Power Klaws on all of the Nobz, but I think the Deff Rollas are more important in the Team Setting. My Dark Eldar partner has plenty of Anti-Tank. The one Power Klaw is mainly there to absorb challenges, but I don't plan on getting out of the wagons unless a juicy CC presents itself. It is silly but the message on his fist, makes me giggle. Also, notice the red starter button for the KFF. I imagine a grot following him to pound the button as projectiles explode against the KFF. True. They will still have to roll a 6 to glance, and I could roll a 5 or 6 to save it with the Kustom Force Field. So, some what of a wash. Melta weaponry is what is going to be scary since I will right in their faces. It is more likely that they will be hitting me at AV 12 with my side armor being so large compared to the front. Hopefully, moving full speed will put me in a position to roll over some targets before my armor gets popped. I am in your blog, stealing your taktiks! Blast! Now, you know that I am going to deploy center at 24". Move forward 19" and start rolling Deff Rollas D6 hits! Ya kunning, git! Hmm, your army will be a pain. I assume the DE will be Dark Lance/Blaster heavy, making for some hard decisions early game. You assume correctly. 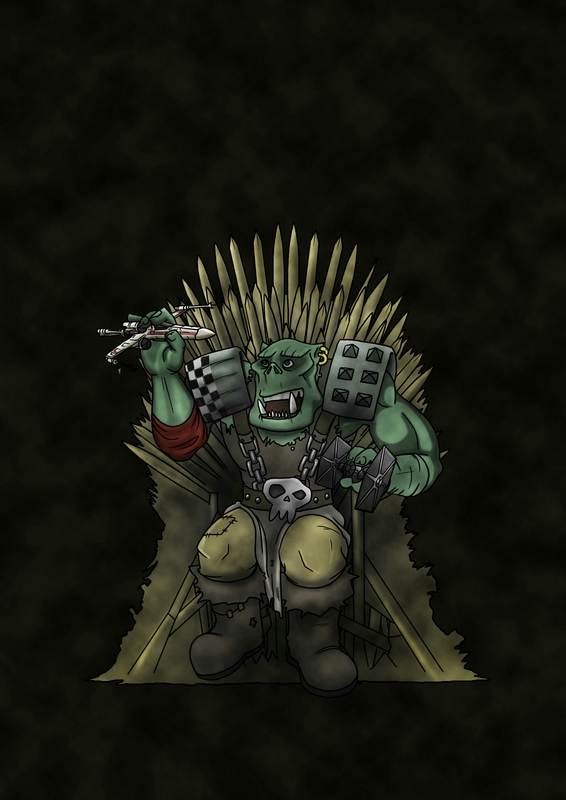 Since Orks and Deldar aren't Battle Bros, we will have to keep our distance or start rolling Animosity. 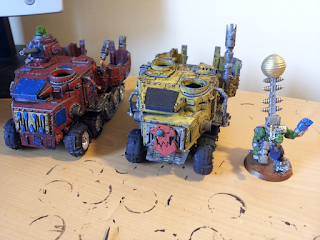 Thus, meching up the orks helps keep things nice and orderly. It is also nice that wagons compliment DE quite well. It sounds easy to glance av14 to death, its not so easy in practice. Usually b-wagons die to side shots. 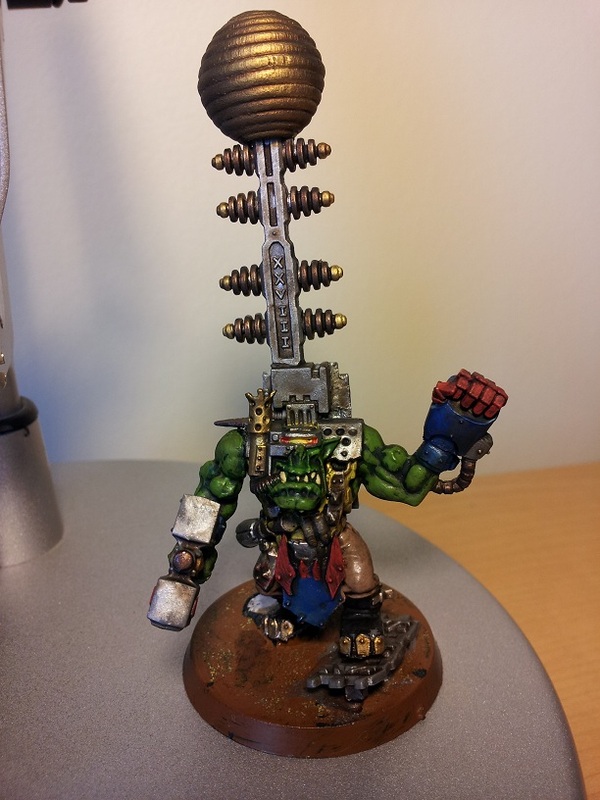 But as with any ork model, you should expect it to die, and in proper ork fashion, be glad it was the other git. BC Nobz are because I couldn't afford Deffrollas and Klaws at 1000 pts. 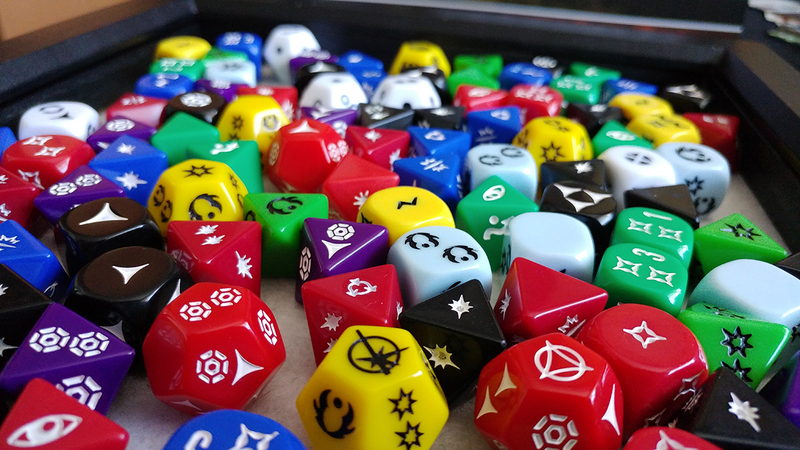 My battleplan was to tank shock and shoot things with fistfuls of shoota boy dice. Remember that you cannot disembark and tankshock in the same turn, no matter, which order you do it in. Plus, I haven't had luck with PK nobs with challenges. You need 2 nobs in one combat to do anything now, which this list couldn't afford. Glancing battlewagons isn't scary. 9 times out of 10, I am going as fast as I can into the enemy deployment zone, so 19" with red paint. I don't care if the wagon gets wrecked, I just don't want it to blow up with the Str 4 hits. Necrons aren't too bad because if you can get into CC, they will fold.